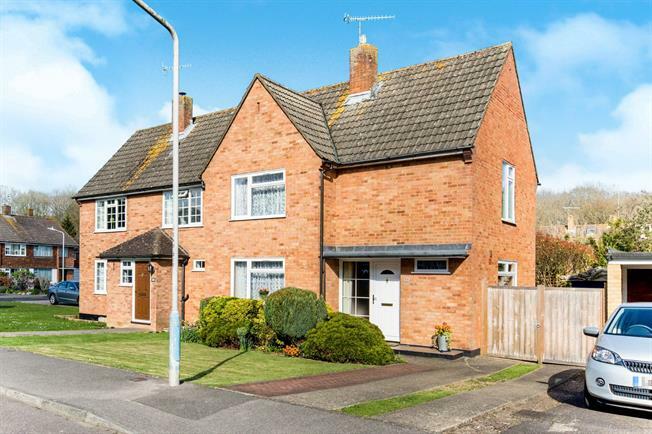 3 Bedroom Semi Detached House For Sale in Tonbridge for Asking Price £425,000. Guide Price 425,000 - 450,000 Viewings Launch Saturday 27Th April. Please Call The Sales Team To Book Your Appointment! Freeman Forman are delighted to present to the market this well maintained three bedroom semi detached family house, situated in this popular road in North Tonbridge. The front door opens into an entrance hallway with the staircase straight ahead and a large walk-in storage cupboard. The rest of the ground floor consists of a spacious living/dining room, and a fitted kitchen with a door leading to the rear garden. The first floor benefits from a modern family bathroom, separate WC, two double bedrooms with fitted cupboards and a single bedroom. Outside, to the front is a driveway that leads to the garage via a gate, and a lawn garden with shrub border. At the rear is a secluded lawn garden with mature shrub/flower borders, a continuation of the driveway and a patio area.